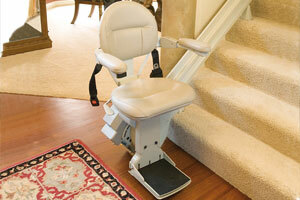 We are the main dealer of Bruno Heavy Duty stairlifts here in Scotland. 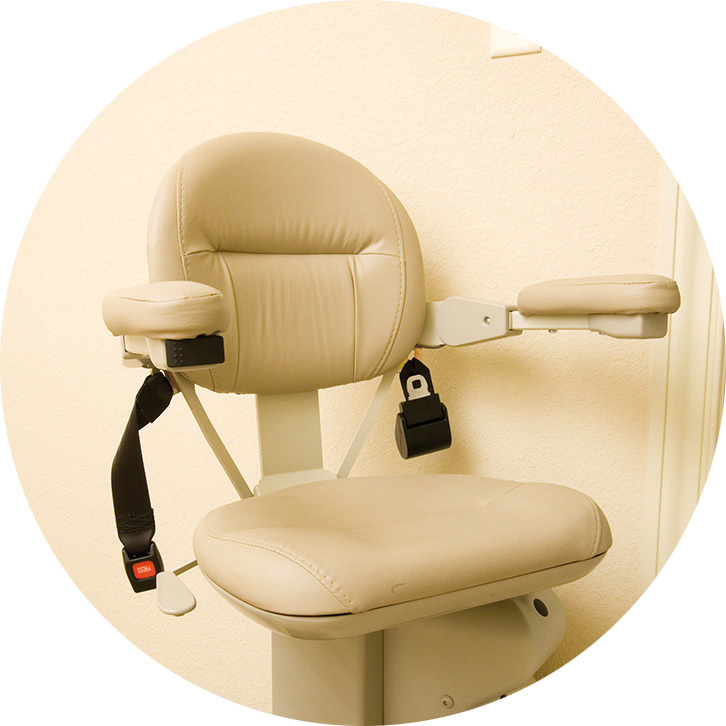 These models are unique in UK due to the safe working load they can carry. 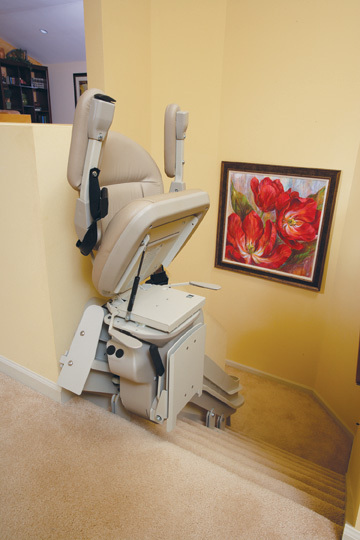 Both the straight and curved models are able to carry up to 30 stone and additionally are able to be fitted with powered folding hinge tracks for staircases with restricted space or doors at the bottom. 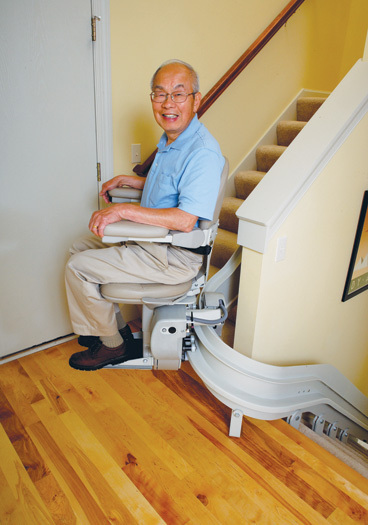 There is currently no other curved stairlift in the UK market that can carry this weight, so this is your number 1 choice if the higher weight is required. 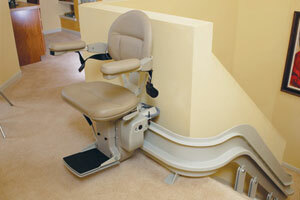 The Bruno Elite Heavy Duty Straight Stairlift is a modern and elegant solution to your accessibility needs. 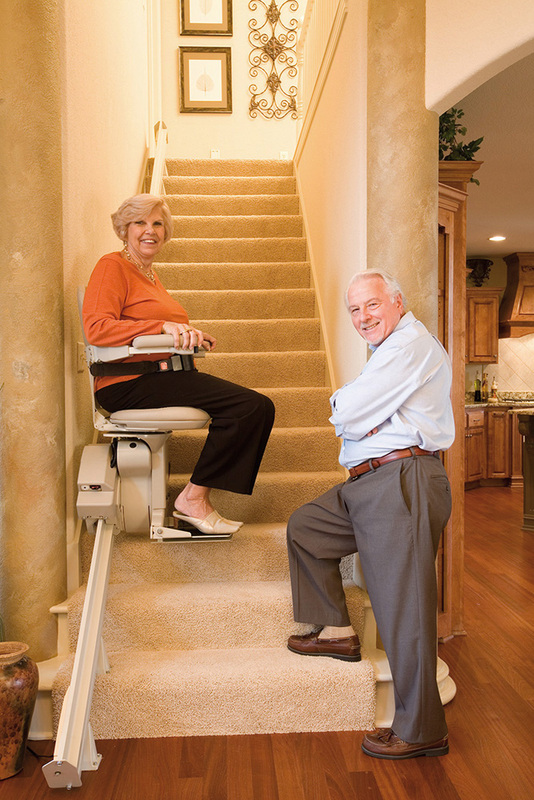 With a rated weight capacity of 30 stone (190 kg), and safety sensors that detect any obstacles on the stairs, you can rest assured that the Bruno Elite will carry you up and down the stairs with efficiency and power. 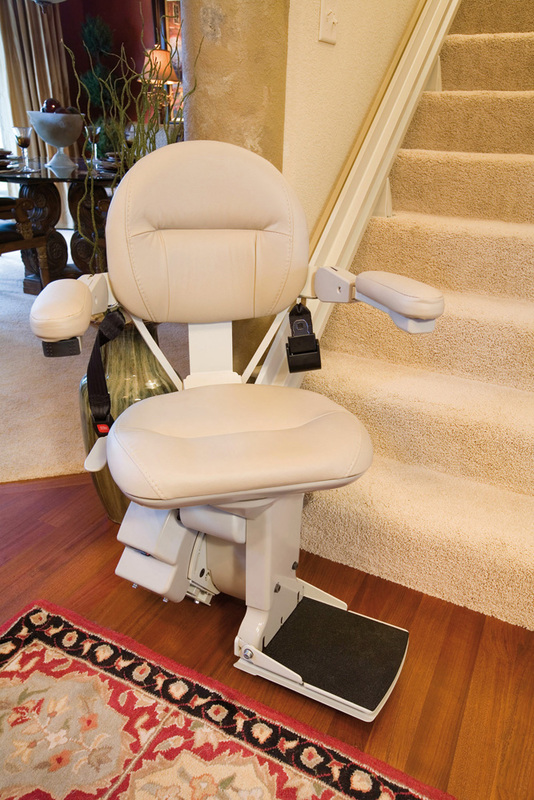 This stairlift features a honeycomb rail design for improved stability and a coded diagnostic display to instantly analyze the unit's operation status. 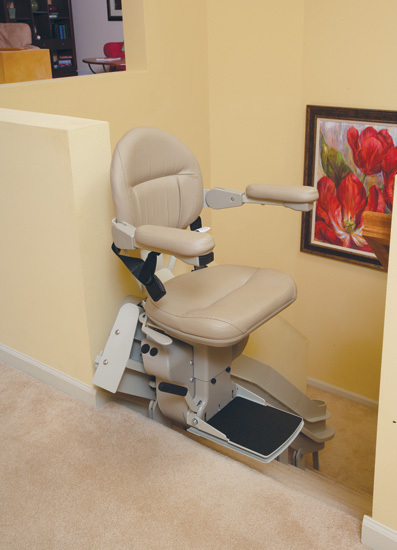 It is equipped with two 12V DC batteries that are continuously powered through a charger which provides you with uninterrupted performance, even during a temporary failure of electrical service in your home. 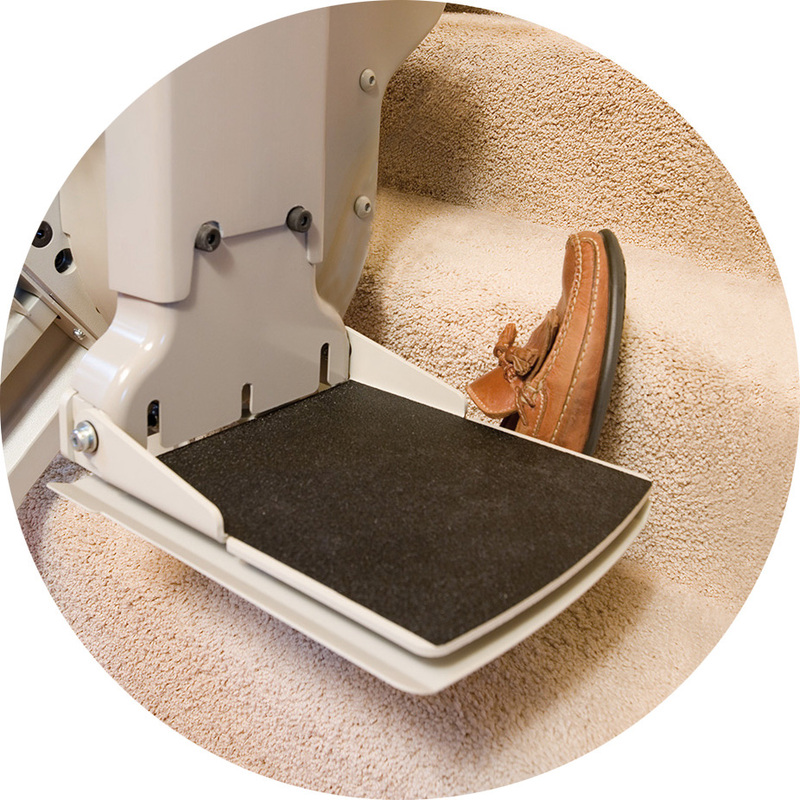 With a pleasing appearance, adjustable features and a compact design, this is the ultimate luxury for your straight heavy duty stairlift needs. 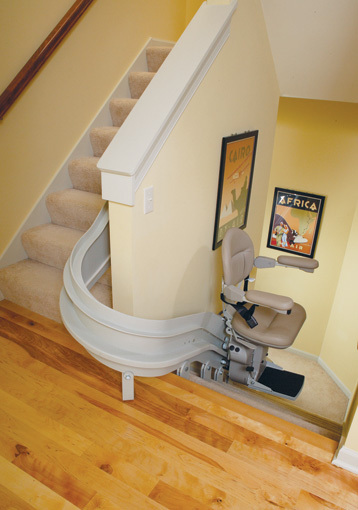 The Bruno Electra-Ride III Heavy Duty Curved Stairlift follows the same ethos as it's straight counterpart; featuring a modern and elegant design, it fits into any home with style. 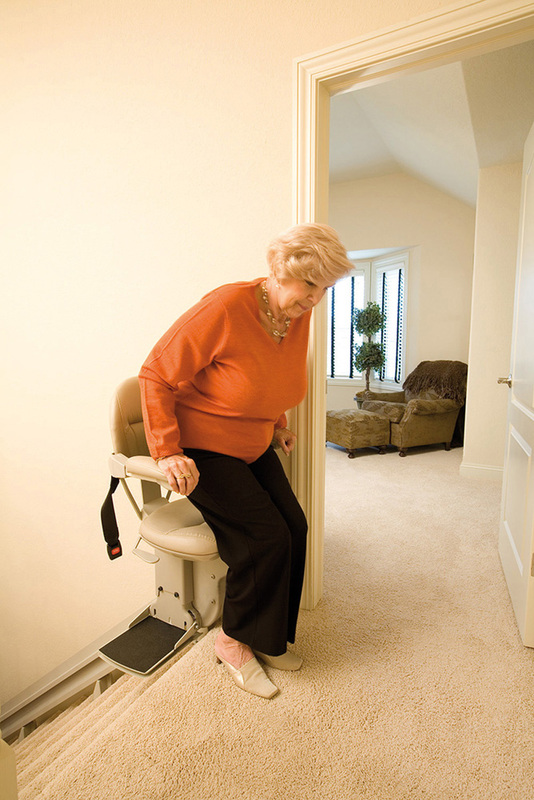 Like the Elite, this lift is designed to carry a much heavier weight than standard stairlifts and is currently the only curved stairlift available on the UK market to support up to 30 stone. 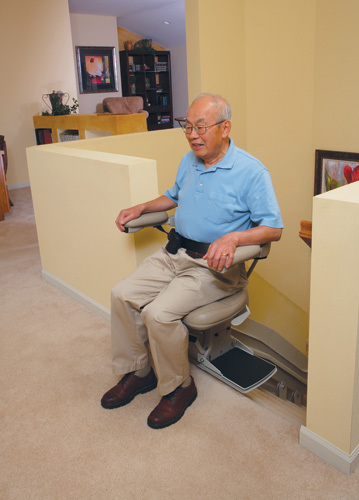 This lift features a vertical design track to ensure as little intrusion onto the steps as possible. Like the Elite, it is powered by two 12V batteries that are continuously powered and provides you with uninterrupted performance even during a temporary loss of electricity.